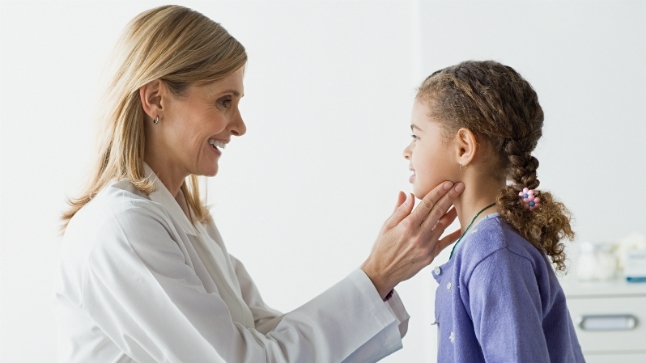 Five years ago the U.S. Food and Drug Administration declared codeine unsafe for treating post-surgical pain in children, such as surgery to remove the tonsils or adenoids. But years later, some doctors still prescribe codeine for children, a potentially dangerous practice, says Dr. Nina Shapiro, director of pediatric otolaryngology at UCLA Mattel Children’s Hospital. Codeine works differently than other painkillers. In the liver, codeine converts to morphine, making it an effective painkiller. But not all patients metabolize codeine in the same way, creating a potential for harm..
"Variants in patients' enzymatic activity can lead to either no therapeutic blood levels of morphine or levels multitudes higher than is safe, leading, in rare cases, to respiratory depression and even death," Shapiro says. "This is especially true in children with a history of obstructive sleep apnea, and more so in the hours following general anesthesia and airway surgery." Because children with such conditions have trouble metabolizing codeine, prescribing the drug can lead to unpredictable and downright dangerous effects. With that said, it's still important to manage pain after surgery effectively. "The issue of pain control has been a quandary in children," Shapiro tells Forbes. "Increased pain has been associated with higher risk of dehydration, bleeding, and hospital admission." So how to effectively and safely manage a child’s pain without codeine? There are a few ways to do so after a tonsillectomy or an adenoidectomy, Shapiro says. One option is administering ibuprofen and acetaminophen, alternating between each every three hours for the first 24 to 48 hours after surgery. Shapiro notes, however, that some recent studies suggest that ibuprofen may increase the risk of postoperative hemorrhage. Another option is administering acetaminophen only for patients experiencing mild to moderate pain. For what Shapiro calls "breakthrough severe pain," these patients can also receive low-dose oxycodone. At the same time, one way to address the pain many patients experience during recovery is for surgeons to minimize it to begin with. “Many surgeons, myself included, have focused on methods of minimizing postoperative pain based on improved tonsillectomy techniques," Shapiro says. "I have been using coblation intracapsular tonsillectomy for several years, which has substantially reduced the need for any postoperative analgesia aside from acetaminophen."